Blending high quality and style, MBG Soho Hotel Safes are designed in Sweden. Their electronic locks feature an eye-catching look based on traditional combination dial safes. These locks can store user codes between 3 and 6 digits in length. They can also be set for standard use or placed in hotel mode where the user code is reset each time the safe opens. 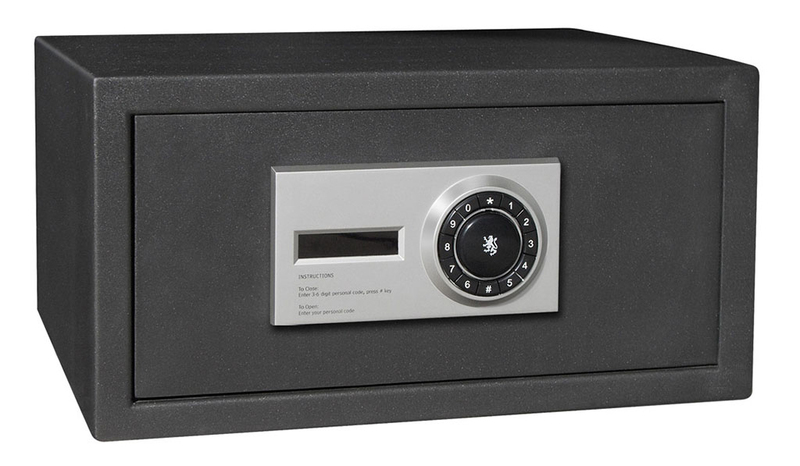 Available in a range of sizes, MBG Soho Hotel Safes are ideal for securing a small amount of cash and/or valuables. They are particularly ideal for keeping personal electronics secure. The walls of the safe are 3mm thick. To prevent accidental lockouts, an emergency key is supplied with each safe.